Singtel’s 1QFY3/19 core net profit fell 19.3% y-o-y. Results were below expectations. Singapore EBITDA eased 3.8% y-o-y on weaker consumer and enterprise business. Optus’s core net profit fell 5.9% y-o-y due to higher depreciation and interest cost. Associate contributions were lower by 25.5% y-o-y, mainly due to Telkomsel and Airtel. Maintain ADD with a 5% lower target price of S$3.70. Attractive yields of 5.5% p.a. Singtel’s 1QFY19 core net profit was below expectations, forming 20%/20% of our/consensus FY19F forecasts. Core net profit fell 19.3% y-o-y (-10.7% q-o-q) mainly due to lower share of associate earnings (-25.5% y-o-y). Optus’s contribution and Singapore's profits were also lower by 9.1% y-o-y and 4.2% y-o-y, respectively. In constant currency terms, core net profit was down 16.6% y-o-y. Singapore EBITDA eased 3.8% y-o-y (+9.0% q-o-q). Consumer EBITDA fell 2.6% y-o-y on lower mobile revenue, higher cost of sales and cessation of TV content rights sub- licensing revenue (excluding the latter, stable y-o-y). Enterprise EBITDA fell 6.0% y-o-y on lower revenue (both ICT and legacy services) and margin (digital and cyber security investments). Digital Life’s LBITDA was steady at S$23m, despite a 5.5% y-o-y drop in revenue due to some pullback in marketing spend by Amobee’s key customers. 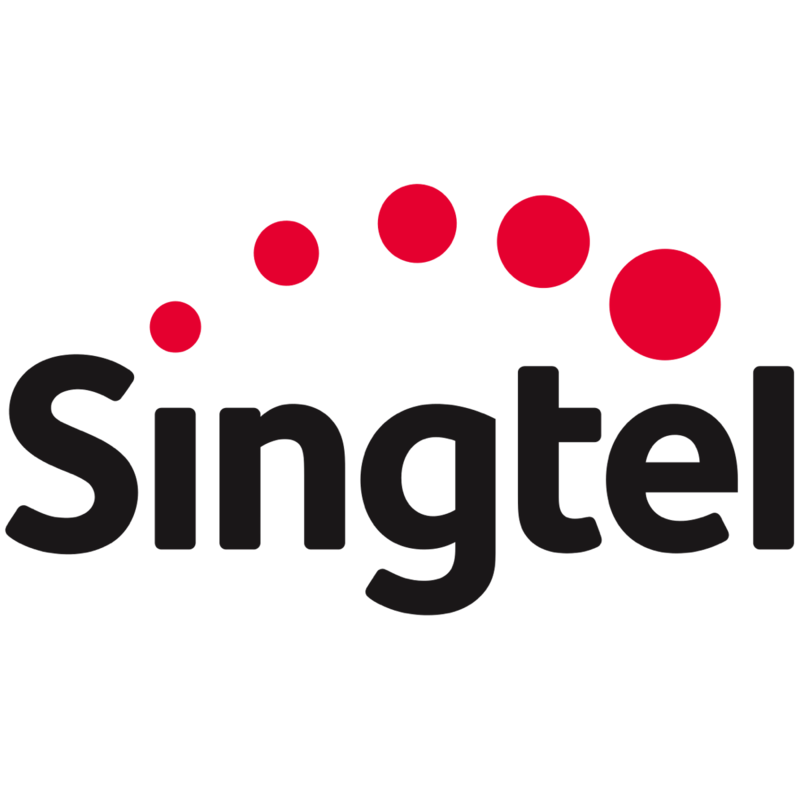 Singtel’s service revenue increased 1.9% y-o-y (+1.7% q-o-q), driven by mobile but partly held back by National Broadband Network’s temporary suspension of migrating customers to the hybrid fiber-coaxial network. Consumer mobile service revenue rose 2.1% y-o-y, as postpaid subs grew a decent 31k q-o-q (+0.6%) while prepaid subs rose 19k q-o-q (+0.5%). Blended ARPU fell 2.0% y-o-y (-0.7% q-o-q) due to SIM-only take-up and data price competition. EBITDA rose 1.6% y-o-y (-6.9% q-o-q), but core net profit fell 5.9% y-o-y (-19.9% q-o-q) on higher depreciation and interest costs. Associate contribution was lower by 25.5% y-o-y, mainly due to Telkomsel (-38.0%) and Airtel (-46.5%). This was partly mitigated by AIS (+14.2%), Globe (+15.0%) and InTouch (+20.0%). Q-o-q, associate contribution fell 4.2% as Telkomsel (-19.1% q-o-q) was hit by keen competition and prepaid SIM registration. Globe (+20.9%) and Bharti Airtel (returned to profit) did better. Associate earnings were partly hit by weaker Rp (-9.0% y-o-y, -1.0% q-o-q), INR (-8.4% y-o-y, -3.1% q-o-q) and PHP (-10.1% y-o-y, -0.8% q-o-q) vs. S$. We have cut FY19-21F Group EBITDA by 4.2-6.9%, mainly to factor in lower Telkomsel and Singapore earnings, plus weaker A$ and associate currencies vs. S$. We now expect core net profit to decline 7.9% y-o-y in FY19F, then recover by 6.5%/7.1% in FY20F/21F. While our FY19F forecast may look optimistic vs. 1QFY19’s -19.4% y-o-y, we expect Telkomsel to post substantially better earnings in 2Q-4QFY19. We see no issues with Singtel meeting its guidance to maintain FY19-20F DPS at 17.5 Scts p.a. Maintain ADD with a 5% lower SOP-based Target Price of S$3.70. Singtel’s FY20F EV/OpFCF of 14.9x is in line with the ASEAN telco average, supported by attractive FY19-21F yields of 5.5% p.a. A potential re-rating catalyst is earnings recovery from 2HFY19 onwards. Downside risks: keener competition in Australia, India and Singapore.